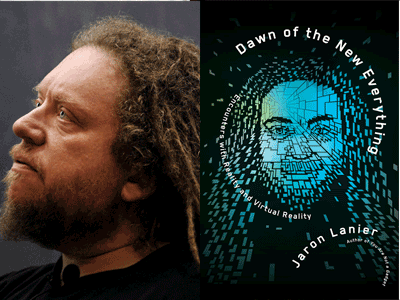 Interdisciplinary scientist at Microsoft and internationally-bestselling author Jaron Lanier joins us for a Book Launch in celebration of his illuminating new book, Dawn of the New Everything: Encounters with Reality and Virtual Reality. Through a fascinating look back over his life in technology, Jaron Lanier, an interdisciplinary scientist and father of the term "virtual reality," exposes VR's ability to illuminate and amplify our understanding of our species, and gives readers a new perspective on how the brain and body connect to the world. An inventive blend of autobiography, science writing, philosophy and advice, this book tells the wild story of his personal and professional life as a scientist, from his childhood in the UFO territory of New Mexico, to the loss of his mother, the founding of the first start-up, and finally becoming a world-renowned technological guru.